New Delhi, Jul 22 (PTI) Having endured a topsy-turvy season, shuttler HS Prannoy says he wants to stay away from the negativity that surrounds heart-breaking losses and focus on taking more calculative risks to improve his fortunes at the upcoming World Championship and Asian Games. The 26-year-old played quite a few three-game thrillers this season. In fact, his semifinal and bronze medal play-off at the Gold Coast Commonwealth Games went the full distance but he had to endure the pain of narrow defeats in both the matches. "I have stopped thinking about losing those crucial matches because it brings a lot of negativity. I am just focusing on a whole perspective where I need to implement those strokes, take calculative risks and not hold back," Prannoy told PTI. "I guess people notice when you lose, they won't notice when you take risks and win some matches. ABC (Asian Badminton Championship) was one tournament where it worked for me and I got a medal. But I guess you need to keep trying." 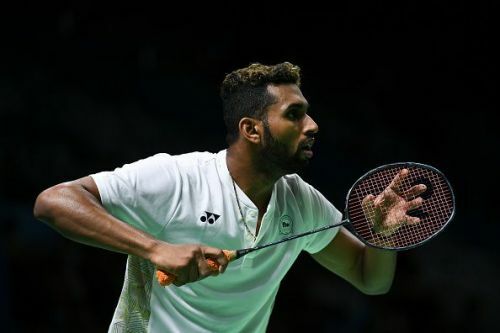 To claim his bronze medal at the ABC, Prannoy also fought through a series of three-game matches against players such as Chinese Taipei's Wang Tzu Wei (pre-quarters) and former world No.2 Korean Son Wan Ho (in quarterfinals). "The biggest thing would be to not be scared to do things which you are actually good at. At crucial junctures, you doubt yourself, sometimes you go for it and sometimes you don't," he said. After the Asian Championship, Prannoy realised that his ankle was not in good shape. But he participated in the Thomas Cup Final even though most of the shuttlers, including Kidambi Srikanth, skipped the event due to various reasons. "In Thomas Cup, I had no option. Half of the team was injured and only B Sai Praneeth and Lakhsya Sen were fit. I had a stress ankle fracture after ABC. But since most of them were not playing, so I thought I would just go and participate," said the Indian, who was out for two months after Thomas Cup. Next up for him is Nangjing World Championship beginning July 30 and Prannoy is happy with the draw. "Draw doesn't matter if you play well, you win. But I think I have a good draw. I'm playing Abhinav (Manota) in the first round. He had beaten Sourabh, so he is good and in an event like the World Championship you can't expect things to be easy. I have to be on my toes right from the start," he said. Last year, Prannoy had gone on a giant-killing spree at Indonesia Open, upsetting the legendary Malaysian Lee Chong Wei and Olympic champion Chen Long to reach the semifinals. He made a good start at Jakarta early this month when he stunned two-time Olympic champion Lin Dan in the opening round. Asked if the win against Lin Dan came as a boost, Prannoy said: "Not really, I mean it was a good win because I was coming back from injury. But Lin Dan is not playing at his best. The younger players are faster these days. Lin Dan lacks speed because of age, probably. "Kento Momota, Shi Yuqi, they are more attacking, so it is tough to beat them." The Istora Gelora Bung Karno in Jakarta will also host the Asian Games from August 18 to September 2 and Prannoy feels control would be the key given the tough conditions there. "It is extreme conditions in Jakarta, so it is very tough. Center court is better but side courts are tougher, it is very difficult to connect shots. I don't think there will be any drastic change in the conditions during Asian Games. So, it is up to us to learn how to play in these conditions," he said. "People who are extremely attacking will find it very difficult. Players who have more control, who don't go for big hits, and depend on softer strokes will have an edge because contact is really tough over there," he explained.